I love Divi’s blog module, and I think that the grid layout is fantastic out-of-the-box. And with a little styling, the grid can look extremely flash and provide an awesome user experience to your visitors. If you haven’t checked out my Blog Grid tutorial then take a look here! OCD NIGHTMARE. Fortunately, it only takes a short amount of CSS to fix this. Click here for a live example of a blog grid with equalized heights. Firstly, let’s assume you’re using a single column layout with one Blog Module (below), set to a Grid layout. Go to Blog Module Settings > Custom CSS and give the module the CSS Class “custom_blog”. Update your page, and then head to Divi > Theme Options in your Dashboard. Experiment with the values, as these can differ depending on your excerpt lengths, title lengths, font sizes, etc. Save, and then check your blog layout. 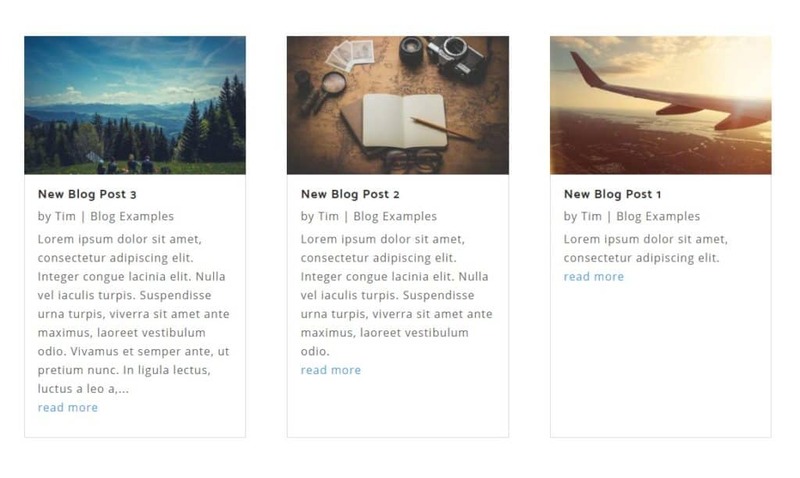 Your blog grid should now have equal heights! Awesome! We have equal heights, and our Divi designer OCD can be calmed. Simples! 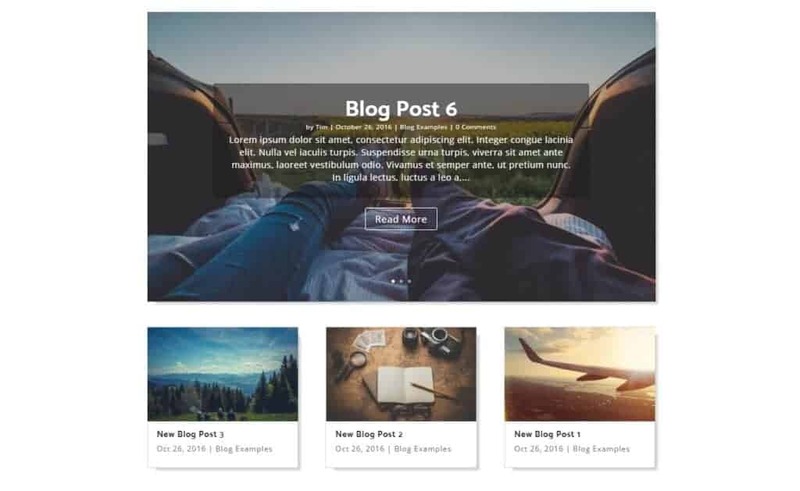 Divi WordPress Theme from Elegant Themes is probably the most advanced, yet most easy to use WordPress Themes available today. It lets you create any type of layout within minutes using its advanced page builder and theme options. There are some things, like social icons, which cannot be changed from theme options. This is fine since most people will use standard social options like Facebook, Twitter, Google+ and RSS, so that is no point bloating the theme with extra theme options. But if you use want to add Divi Theme Social Icons Pinterest, Instagram, Linedin etc. in Divi WordPress theme, here’s the procedure. • Here’s the list of codes for the social icons available in Divi style.css file. This list shows all the available social network icons in Divi theme. • To add a social icon, for example LinkedIn, add a code section like following, just before the closing </ul> in the social icons code above. You can add any new network from the list posted above. That’s it. You just added a new social icon to Divi WordPress Theme. You can also remove a social icon by simply removing its section from the includes/social_icons.php file. If you’re a website developer modify the Copyright Line and Tag Lines in the Divi Footer to help get more traffic to your website. Begin by modifing the footer.php file for your theme. This is best done by first creating a child theme. There are many ways to create a child theme but I prefer using the Child Theme Configurator plugin from Liliaea. You’ll want to change the starting year for the copyright from 2015 to the appropriate year for your site. Also change the name and link for the designed by coding I have. This CSS code will center the copyright line and color the external links a cyan color. I was trying to use the Extra Theme Post Carousal module from Elegant Themes. I had fifteen post for the category I was building the Category Layout for. But only two of the posts were showing up in the carousal. After banging my head against my desk for a couple of hours, I finally spotted the problem. Only posts that have a Feature Image will display in the carousal. In hind site this makes sense. Just not very intuitive to me at the time. Be sure to check the Copy Parent Menu option if you’ve altered the default menu. 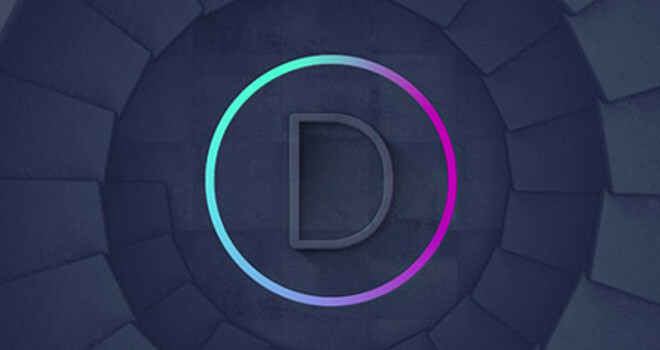 The default Divi footer message states that the website was designed by Elegant Themes and powered by WordPress. I like to mention my web design name on the footer so I can drive traffic to my company website. To make a change to the message the footer.php file. Complete the following steps. If you are holding any type of event, from conferences to concerts, then creating a website to promote it is an essential part of the planning process. Not only is creating a website an effective way to publicize and generate interest in your event, but it’s also a practical way to provide your attendees with useful information in the lead up to the big day. Promote your events and sell tickets, all with WordPress. Furthermore, by creating a fully featured website for your event, your site can become a valuable tool on the day and beyond. Being able to instantly publish changes to the schedule, share presentation recordings and notes, as well as including online networking areas to help your guests get the most out of the occasion can really help make your site an integral part of the event. So how do you go about creating such a website to support your event without breaking the bank or becoming a fully-fledged developer? Well, thankfully there’s a great selection of WordPress themes and plugins that can really simplify the process. In this post we will taking a look at why you should consider using WordPress to create a website for your event, as well as some of the supporting products that can give you access to all the features you need in order to make your event website a success in a cost effective manner. Why Use WordPress for Your Events Website? When you then take into account all the events-related products available, such as purpose-built themes, and a whole host of useful plugins, choosing WordPress makes perfect sense. Even if you’re not an expert WordPress user, you can now affordably hire the services of a 24/7 support provider, giving you someone to turn to should something go wrong with your website. Using WordPress as the platform for your events website is a straightforward process that only includes a handful of steps from start to finish. Along the way, you will need to choose a hosting service for your WordPress website, a great looking theme, and the right plugins to help manage the event content. Finally, you will need to learn how to promote your event online. Thankfully, we will cover all that information in this post, giving you everything you need to create a successful events website with WordPress. So now that you are sold on the idea of using WordPress to promote your upcoming event online, let’s get into the details of creating your website. There are plenty of website hosting services out there to match almost any budget. Since WordPress is the most popular content management system in use today, most hosting service providers are familiar with how the software works and some even provide services tailored specifically for WordPress users. When choosing a web host for your events website, performance, support, and reliability are the key factors to consider. As getting as many visitors as possible to check out your website is the goal here, it’s essential that you choose a hosting provider that can handle a lot of traffic, without causing your site to slow down, or worse, go offline. Furthermore, as you may be selling tickets from your website, or managing the registration process, choosing a host that is secure and reliable is important too. SiteGround: As experts in WordPress hosting, with prices starting at a low $2.95/month, SiteGround offers a good combination of support, speed, security, and affordability. Their packages include immediate activation with a 1-click account setup, a free domain name, free site setup and transfer, unlimited traffic support, and free daily backups, not to mention WordPress coming preinstalled on your server space. WPEngine: By moving into the realm of premium managed WordPress hosts, such as WPEngine, you get a lot more performance and higher levels support for your website. This does comes at an extra cost, with prices starting at $29/month, but for anyone promoting a professional event, the expert WordPress support on hand, increased levels of security, and improved performance should be worth the extra money. Pagely: Another premium managed WordPress host that will appeal to those promoting a professional event. Pagely won first place in our web hosting investigation to be crowned the best option for WordPress users. It’s not cheap, but if your event website is important to your organization or brand, then a Pagely hosting plan could be the right choice. Thankfully, there are some high quality WordPress event themes on offer today, costing just a fraction of the price of hiring a developer and designer to build you a bespoke website. The Vertoh theme is an events focused theme. Before picking a theme based on looks alone, there are some features you should look out for. These include general features, such as support for multiple devices, as well as more event specific features, such as schedule planning, and the ability to publish venue information, speaker profiles, and registration and ticketing management. So before we get to the themes themselves, let’s take a quick look at the features you should keep an eye out for in more detail. Mobile internet use is at an all-time high. Therefore it’s crucial that the theme you choose for your events website is able to adapt to whichever screen size it’s being viewed on. These mobile friendly themes are billed as being responsive, due to the way they respond to the size of the screen – including tablets and smartphones – that is being used to access the site. You might notice some themes being advertised as mobile first. This indicates that they have been created with smartphones and tablets regarded as the primary device that will be used to access your site. These themes will still work on larger screens, but often offer extra smartphone compatibility that your event attendees might appreciate while checking out the website in-between sessions. One of the benefits of choosing a commercial theme over a free one, is that you often get access to a higher level of support. This can cover online documentation, video tutorials, help guides, helpdesk support, and access to ongoing theme updates and improvements. If things go pear-shaped on your site, it’s good to know help if there when you need it. Some theme vendors even provide access to support forums, where best practices, tips, and other helpful advice is shared to help users get the most from the themes. If your events website is mission critical, then checking out the reputation and quality of the after sales support on offer from any theme vendors you are interested in buy from is highly recommended. Once you start taking into consideration what features need to be included on an events website, you will soon realize that not just any WordPress theme will do. While an attractive and user friendly website can help promote your event, if you really want your site to sell your event, while also providing support to your speakers, attendees, and co-organizers, it’s going to take more than just good looks. Having a dedicated place to store and publish all of the speaker and venue information for your event has many benefits. Again, this feature is likely to be added to your site via your chosen theme package, or a third party plugin. The ability to offer early registration discounts and other pricing-related marketing tactics can really help you to sell your event. Giving your visitors the option of joining a mailing list to get updates on pricing and ticket availability can also help convert interested visitors into registered attendees. Other pricing and registration-related features you might want to look out for includes the ability to offer multiple pricing options, group discounts, display countdown timers, and accept deposit payments on bookings. These are some of the main features you might want to make use of on your events website. The more of them that are important to you, the more you likely it will be that you will need to choose a purpose built events theme. Not choosing a theme built specifically for creating an events website, or at least a highly flexible theme, could end up costing you a lot of time, money, and effort should you need to add these features to your website at a later date. For this reason, it’s definitely worth considering a purpose built WordPress events theme for your website. Created by ShowThemes, a group who specialize in developing themes for event websites, Vertoh is a premium WordPress theme that is perfect for conferences and exhibitions. Offering multiple ticketing options, with a special deals or even a sold out display, this theme makes it super easy for visitors to know what the status of any event is, at any given moment. With a focus on ticket sales, Vertoh is connectable to outside registration services that can help you manage registration to your event. The theme also includes a large call to action button, with time and location information for your event, all in one convenient module. This registration module can then be set to repeat multiple times throughout your website in order to help increase ticket sales. The Vertoh theme also includes 4 header choices with 15 different color combinations, to ensure you are able to customize the site to your liking. Other notable features include: dedicated performers and exhibition sections, advanced schedule management, a fast responsive design, a countdown to event widget, and social media links for online networking. If you’d like to know exactly how this theme works, there is a backend demo available for Vertoh on the ShowThemes website. Fudge is another premium events theme from the ShowThemes team. The first thing your visitors will notice when they arrive at your website is the large image that the theme can accommodate on the homepage. If your event or brand has a strong visual tradition or appeal, Fudge could be a great choice. Quickly following on from the large image, the homepage gives you the space to highlight all of the most important information about your event, including: the location, the time, and the date it will be taking place. Fudge includes all the features you need to publish your event schedule online. Your visitors can then filter this information by track or location, making this theme ideal for those putting on large events with lots of sessions to choose from. Thanks to the modules that make up the Fudge theme, it’s easy to pepper the design of your website with multiple calls to action and registration buttons. These provide a constant reminder to your visitors to book their place or risk missing out. Other highlights of this events theme include: a performer database to highlight speakers, singers, actors, and VIPs for your event, complete with customized profiles; 10 pre-set color palettes to choose from; a fully mobile responsive session scheduler; a Facebook widget to display Facebook RSVPs and integrate your event with this social media platform; and an event countdown timer to help build anticipation for the big day. Thanks to its highly versatile nature, in part due to its live front end, drag and drop website builder interface, Upfront is perfectly suited to creating an events website. Each page on your website can be tailored to meet your needs, complete with multiple elements, spread across individually styled page regions. Needless to say, the end product will be fully mobile responsive to cater to your attendees while they check the upcoming sessions during the day. Upfront also includes four starter themes to choose from: Fixer, Scribe, Panino, and Spirit, each of which is highly customizable through the live front-end editor. Through the editor, you can turn any starter theme into a completely different website, even an events website, complete with branding, images, custom fonts, and much more. By combining Upfront with one of the plugins we will cover shortly, you can add all the event-related features you need to your site. If you want to promote multiple events on a single website, then the premium Januas theme from ShowThemes is a suitable choice. Through your website, your visitors can use the homepage slider to scroll through the forthcoming events, browse the entries in the calendar, or use the filter tool to search for upcoming events by name or category. Each of the individual event pages gives your visitors the ability to learn more about the event, with the option of registering as an attendee. The theme makes it easy to store and publish all the different content your events website needs. This includes the sessions that make up each event, the presenters attending, and also the location and venue details. Conference has been created by the WP Look Studio team to help you promote your upcoming event or conference in style. Conference includes everything you need to promote your event, publish the daily schedules, showcase your speakers, and highlight the event sponsors. You can also sell tickets from your website, thanks to the support for the PayPal payment processor. Other useful features include: unlimited color options, Eventbrite integration, eight custom post types, and a fully responsive design. If you are new to WordPress, or just short on time, you can take advantage of the WP Look Studio offer of installing this theme on your website for you. Available from ThemeForest, this premium theme is ideal for entertainment type events, such as arts, music, and cinematic shows. Eventure has the ability to display multiple events, rather than just a single occasion, making it good for those with busy schedules. Visitors can browse the calendar to see the upcoming events, while also having the ability to filter them by type. Expired events are automatically hidden from public view, although this is optional. The theme includes support for the Google Events rich snippet, helping to make your listings stand out in the search engine results pages. You will also find 15 homepage combinations to choose from, front end form submissions for adding events to the website, and flexible color choices. Eventure has a rather unique design that probably won’t appeal to all readers. However, if you are looking for something less corporate to promote your upcoming shows and events, this could be the theme you’ve been looking for. Eventbrite Event is a theme that is free to use, making it ideal for those promoting their event on a budget. If you just need to get a site up and see if there is any interest in your event, you can’t go wrong with this free template. This theme is regularly updated, and is fully compatible with the WordPress Customizer tool. This gives you a live, front-end preview of your website, as you make changes to its appearance. It might not have the most cutting edge design out there, but for promoting a single event, it might just be enough for you. As well as choosing a theme for your events website, you will probably need to install one or more additional plugins. Some themes will come packed with event-related features, while others, not so much. Depending on your needs and chosen theme, adding one or more of these event management plugins to your WordPress site can give your website all the functionality it needs to promote and manage your event. This plugin is the ultimate all-in-one solution for adding an event management system to your website. with Event Espresso, you can manage your ticket sales and event times and dates, customize event designs using templates, send out email confirmations, collect payments through multiple payment gateways, showcase your event’s location with Google Maps, and so much more. This plugin is definitely premium, costing $99.95, but with all the features included it could be well worth the investment. There are also multiple add-ons available, each at different price points, to help you further enhance your events website. If this plugin is not within your budget another great option is to use the free Event Espresso Lite version, which is still pretty feature-packed. Out of the box this free plugin includes PayPal payments, custom event registration, automated confirmation and reminder emails, and allows for easy management of attendee profiles. Another couple of complete WordPress plugin solutions for managing your events websites are Events Planner and Events Manager. Both are premium plugins offering lots of features for managing your events website. Although not as all-inclusive as Event Espresso, these plugins could also help you get the job done. This free WordPress plugin has a professional style and allows for easy creation and management of events. Amongst its features you will find: Google Maps integrations, widgets for displaying upcoming events, event categorization, template tags for theme customization, caching support, and testing with many major themes such as Genesis, Woo Themes, Thesis and more. As your needs grow, so too can the functionality of this plugin. By installing the extension, or upgrading to the full commercial version, you can easily add more features to your events website. Another one of our feature-packed plugins, Events + can be used to organize even the biggest of events from the comfort of your WordPress dashboard. With Events + you will find support for Google Maps, a friendly user-interface for visitors to pay via PayPal, as well as the ability for guests to confirm their attendance through Facebook or Twitter. You can create and manage your events including RSVPs, ticket sales, and guest lists, all from within your WordPress website. This plugin conforms to your theme’s design and makes it easy to place its elements exactly where you want them. It even allows users to integrate the events they are attending directly into their own personal calendar via iCal integration. Now that you have the website for your event up and running, complete with your theme of your choice, your custom content, and the appropriate plugins for proper event management, it’s vital that you go out and promote your event. Create social media profiles in order to share, network, connect, and promote your event on the channels where your target audience hang out. Start building an email list for your event, by adding email optin forms to your site. Gather testimonials from past speakers, performers, and even attendees to highlight the credibility of your event. Start blogging regularly about the event, with latest news and updates. Consider guest posting on related blogs to promote your website and the event. If you follow this advice, you should be able to succeed in promoting your event and drawing more visitors to your website. Creating a successful events website takes time, money, planning, and execution. By harnessing the power of WordPress, as well as its ecosystem of themes, plugins, and other services, you can find everything you need to create your own website to promote your event. The process of building a website to promote an event with WordPress can be fun and challenging. With its user-friendly approach to website design, almost anyone can create something great for their event. Take a look at the themes and plugins listed in this article and figure out which ones may or may not work for you, depending on the specific needs of your event. During our search for the lucky winner of a golden ticket for WooCommerce Conference, we spent several days combing through the thousands of submitted websites. During this activity, our team viewed many exciting WooCommerce-powered online stores and today, we’re going to explore 12 of my favourite WooCommerce stores, and what I feel makes each store stand out from the crowd. Premium coffee roasters from Austria! J. Hornig’s online store has attention to detail which reflects their passion and love of their product. With key attention paid to how variations are handled (a customised implementation, which is achievable using our Variation Swatches extension and some creativity), as well as clear niche calls to action on their homepage, J. Hornig illustrate that they know their customer and what their customer is looking for. The J. Hornig store is running a custom-developed WordPress theme, WPML for handling multi-lingual content, as well as tracking using Google Tag Manager and Google Analytics. Porter & York are sellers of fresh cuts of meat, fish and poultry, delivered to your door within 48 hours. Using a custom-developed WordPress theme and tracking via Google Analytics, it doesn’t seem to have taken much else to create a meaty solution to meet Porter & York’s needs. Porter & York are a prime example of using product imagery as an effective marketing tool. Browsing their website gets me hungry right away! This Ukrainian cupcake studio has left my mouth watering (possibly still after viewing Porter & York’s website as well) with their tasty iced treats. What better way to compliment a Porter & York steak than with a sweet treat? Using a custom-developed WordPress theme, Cupcake Studio have found an elegant web-wrapping for presenting their treats to the world. The focus here is definitely on creating an emotion using the design, presenting their products with the soft and elegant feel of a quintessential cupcake store. Dineamic offers healthy and natural fast food, using fresh ingredients. Using a custom-developed WordPress theme, along with the standard use of tracking and analytics plugins, Dineamic make use of our WooCommerce Cart Tab extension, to keep the cart information visible in a tab to the side of the screen at all times. This helps to improve conversions and to lower cart abandonment rates, by keeping the cart at the forefront of your visitor’s vision. Shopping for a mom and baby can be tricky. Buddhi Baby aims to simplify this, by offering curated gift boxes of items which moms and tots have found useful. Using the Mineral theme by Pexeto, along with a Mailchimp widget and some specially created landing pages for each gift box, Buddhi Baby are all about getting their product to you in the most efficient and convenient manner possible. This website is a great example of how to focus on getting your store online. While their store uses the default WooCommerce styles, the store styling fits seamlessly into their overall website and allows them to serve customers from day 1, without getting too technical. Continuing on our theme of gifts and of getting online quickly, I’d like to introduce EcoKitty; British-made gifts for felines. EcoKitty is a great example of getting a niche store online quickly in order to service a market. Using the Builder theme by iThemes, along with the default WooCommerce styles for their shop, EcoKitty illustrates the speed at which a store can come online and look attractive at the same time. Choose your niche. Choose your theme. Upload your products. Sell. Picky Bars are amazing energy bars for active individuals. Performance bars made with real food! Reading through their story, it’s clear that the folks at Picky Bars don’t do things just half-way. Using a custom-developed WordPress theme (which is very expressive and true to the emotion they want to convey, I might add), Picky Bars have a unique implementation of a subscription model, usingWooCommerce Subscriptions. Their subscription product page has a custom-developed 3-step checkout process, using visuals to enhance the overall experience for their customers. Apogee CE offers online courses or live tuition to the healthcare industry. Using Sensei and the Avada theme, Apogee CE is selling online courses through their WooCommerce-powered store. In true Woo style, we had to include at least one brew house in this list. And what better than the beautiful website of Fitger’s Brewhouse! Fitger’s Brewhouse are using WooCommerce to sell merchandise for their brewhouse (as well as beer, of course). What draws me in with this store is the simplicity. There are no fancy up-sells or over-marketed product adverts in the sidebar. Just products and an elegant design which integrates seamlessly into the rest of their website. Sometimes, it pays to keep it simple. Yousli offers pre-made or make-your-own muesli, delivered to your doorstep. Using a custom-developed WordPress theme, and some clever marketing photography, Yousli are able to convey to their visitors how Yousli muesli would make them feel after eating it. With a clear and concise product page (pre-made to one side and make-your-own to the other side), Yousli have made the checkout process really easy and clear for their visitors to follow. Sometimes, a bunch of roses just isn’t enough. Edible Blossoms do exactly as their name describes. They provide edible bouquets of fruits and chocolates, presented in a floral manner. Using our Canvas theme and a clean colour palette, Edible Blossoms were able to get a store online and start selling! What I find is a great take-away from Edible Blossoms (other than wanting to order some of their delectable bouquets) is their using the Easy Timer plugin for WordPress. This plugin is being used as an up-sell to help customers to order quicker. “Order within the next 3 hours to get your order tomorrow!”. Reading that surely makes me want to click “Checkout” far quicker! Great work! What better place to end off than with the winner of our Golden Ticket to WooConf, Over Clothing. 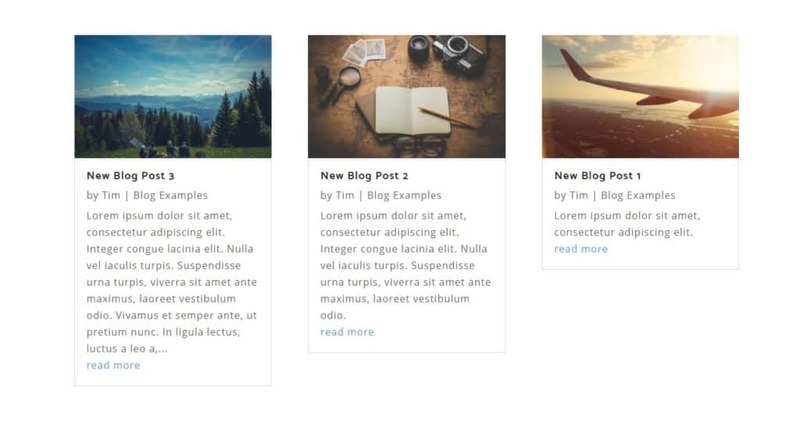 Over are running a custom-developed WordPress theme, powered by Twitter’s Bootstrap framework. They seem to be running a few key plugins (tracking via Mixpanel, for example) with the focus of their store being largely on how they present their products, rather than presenting a myriad of widgets down the side of their store. Digging deeper, one can see that they are using a store credit extension for WooCommerce, as well as a social login feature to make it really easy for customers to sign up and spread the word about Over. I hope you enjoyed our tour through a few WooCommerce stores and what I feel make them stand out. Whether you’re building a store selling candy bars or clothing, there are always many take-aways from observing what others have created, using the power of WooCommerce. 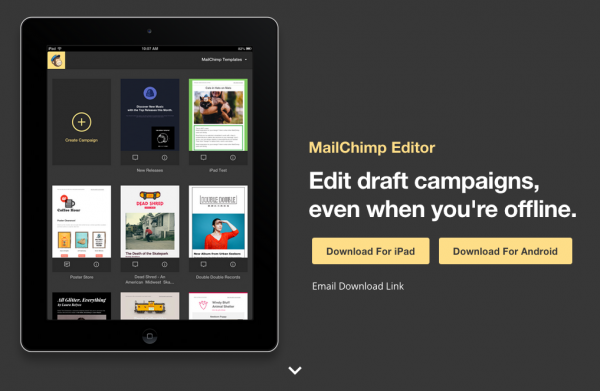 If you’d like to read our in-depth review of MailChimp, feel free to check it out right here. The whole online persona of MailChimp is fun and friendly. The website, interface, blog posts, and other applications all speak to this. Even their cute mascot, Freddy, is a testament to the fun lovin’ vibes that they give off. But even though they’re a younger company than Constant Contact, they have a firm grasp on what it takes to help people succeed in their email marketing efforts, as well. There are good things about MailChimp, and some not so good. But whatever makes them worth using is really up to you. Below is a few pros and cons of their service to help you along your decision-making journey. Probably the biggest selling point for MailChimp is the fact that you can sign up and use their service for free. Unlike other services that state they are free but are in fact only free during a trial period, MailChimp is actually free — and can be free forever. The free account doesn’t have every single feature available to the email service, but you get just about everything you’d need to jump start your email list. You’re limited to 2,000 subscribers and 12,000 sends for each month, but when you’re first starting out this is more than enough to build your list and stay connected with your subscribers. Test, test, and keep on testing. Many email marketing services that have A/B testing or reporting features require you to pay to use it. This isn’t the case with MailChimp. The A/B testing and generating in-depth reports is available in every plan — including the free plan. More than that, it’s very easy to split test and segment your lists in order to do so. MailChimp has a staggering number of 7 mobile apps that you can use so that even when you’re away from your computer, you can manage your email list. Each of the apps serves a useful and powerful purpose. 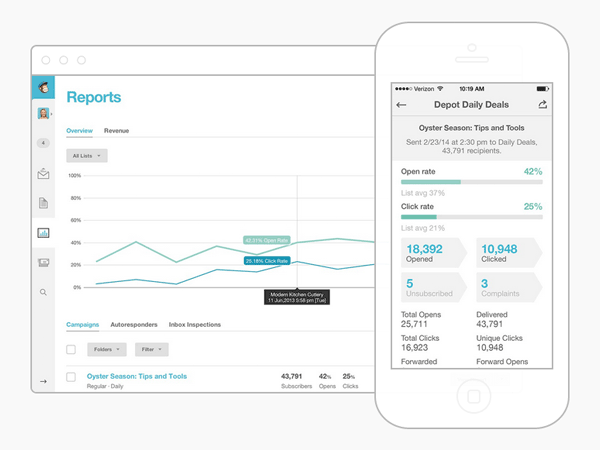 The MailChimp Mobile App lets you create, send and track your email campaigns directly from your phone. Snap is an interesting app that allows you to snap a photo, turn it into a campaign, and send it to a select few or an entire list. This can be really useful for people like fashion bloggers, for example. See a beautiful outfit on the street or in a shop window? Snap a photo, add your written content, and then share it with your audience. You may not need these right now, and you may not need all of them, but they’re there and ready for you if and when you do. A drawback to the free plan in MailChimp is it doesn’t come with automated emails as part of the deal. Many know the importance of sending welcome emails and efficient autoresponder series, so not having that as part of the free plan is a bit of a bummer — especially for new bloggers on a shoestring budget. If you want to send those types of emails, then you’ll need to upgrade. Thankfully, pricing starts at only $10 which isn’t half bad. Although the starting price of $10 per month sounds nice, you might want to take a close look at the details. $10 a month only covers 500 subscribers, and MailChimp will automatically change your account to the next tier if your subscriber count goes above that which means you could get a surprising bill if your list building is going well. It’s $15 for 1 thousand subscribers, $25 for 2 thousand, $50 for 5 thousand, and $75 for 10 thousand. Price increase doesn’t stop there though. If you wind up with a massive mailing list of say… 25 thousand subscribers, your monthly bill is $150. This isn’t too bad since you should be making money at this point with a list that large, but MailChimp does charge you more for a larger list — just like everyone else does. Yeah… that’s a bit harsh. Though I understand that MailChimp doesn’t want its service to be used to spam people’s inboxes, quite a few of the best bloggers make a living from affiliate marketing and are not senders of spam. It would be a massive headache to have to deal with if your account was shut down when you did nothing wrong other than it includes a link in your email that they didn’t like. Especially since there is almost no one to contact to fix this issue, which leads into to the next downside. For all of the great features that come with MailChimp, this is a downside that can easily be a dealbreaker. If you use the free plan for your email list, but you need help — tough cookies because you’re on your own. If you need help or your account gets locked for some reason, you have no way of getting in touch with people and getting it resolved. At least that’s been my experience. Though they do have videos and a decent sized knowledge base, it’s always nice to be able to pick up the phone and call someone when you’ve hit a wall. You do get email and chat support when you upgrade to a paid version though, but it would be nice to get some help when first setting things up. 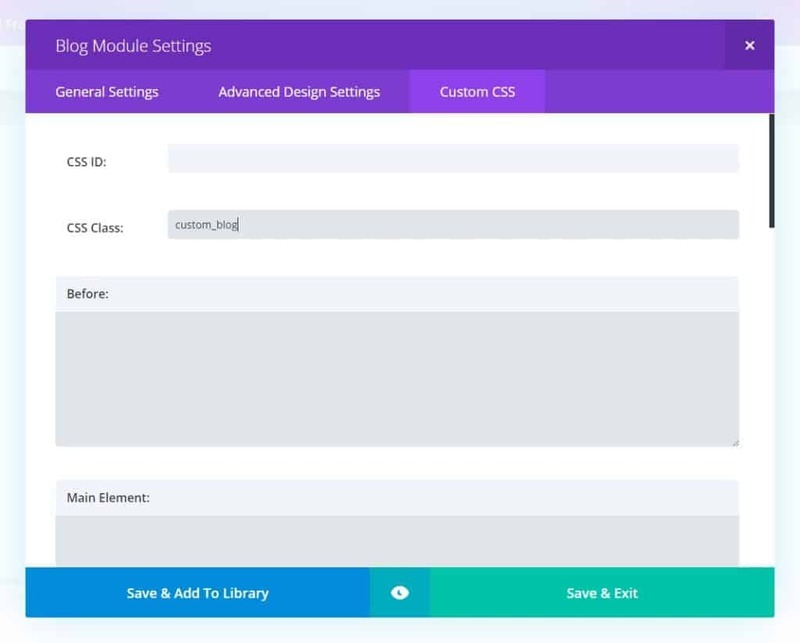 To change the size of the logo on the Divi theme, add the following CSS to Custom CSS panel on the Theme Options page.